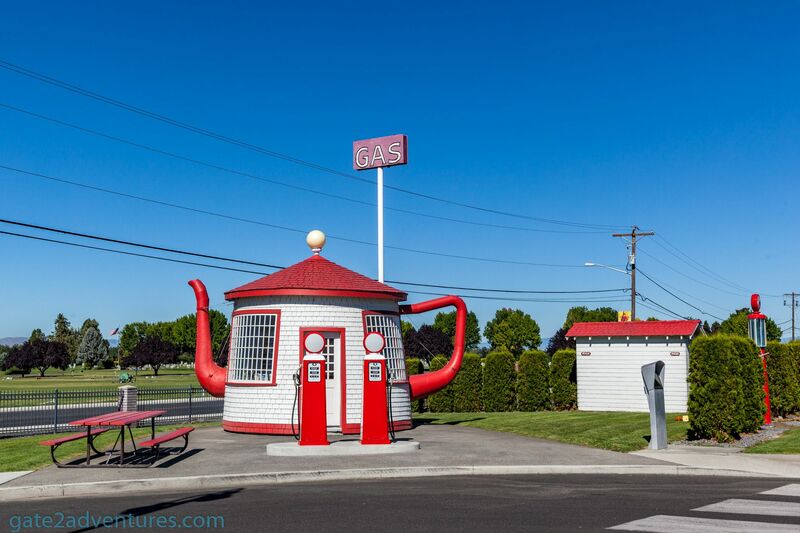 This former gas station is located in Zilla, Washington and is on the National Register of Historic Places. It was originally built in 1922 on Hwy. 410 between Zillah and Granger. It is a reminder of the “Teapot Dome Scandal”. 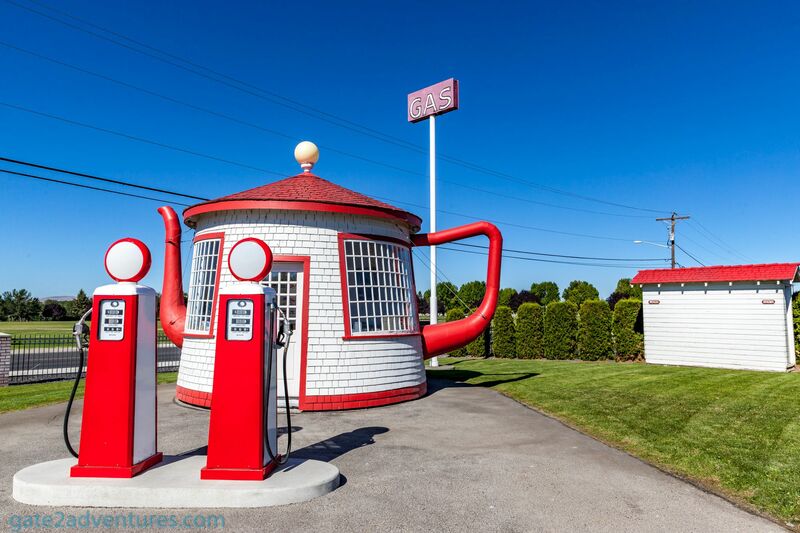 The building is shaped like an oversized teapot with handle and a spout. Before the Watergate Scandal, the Teapot Dome Scandal was regarded as the greatest scandal in the history of American Politics. It was bribery scandal involving the administration of United States President Warren G. Harding from 1921–1923. During the time, the U.S. Navy converted largely from coal to fuel oil. To ensure the Navy would always have enough fuel, several oil-producing areas were converted to Naval Oil Reserves by President Taft including the Teapot Dome Oil Field in Wyoming. Secretary of the Interior Albert Bacon Fall leased this reserves to private oil companies without competitive bidding. The leasing under this circumstances was not illegal but the changing of money Fall received for the leases were. The full-service gas station continued operation for many years until Interstate 82 was constructed near Zilla in 1978. That’s when the gas station was relocated to 14691 Yakima Valley Highway. The city purchased the gas station, moved it to its current position in 2012 and rehabilitated it as a Visitor’s Center/Tourist Destination. 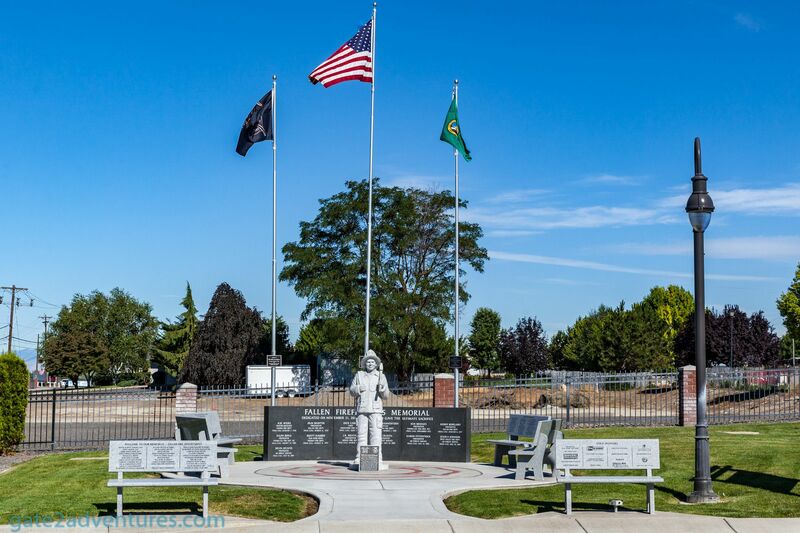 The site is also home of the “Fallen Firefighters Memorial” and the “Veteran Memorial of Zillah”. While driving along Interstate 82, this historic site is not noticeable at all from the car. 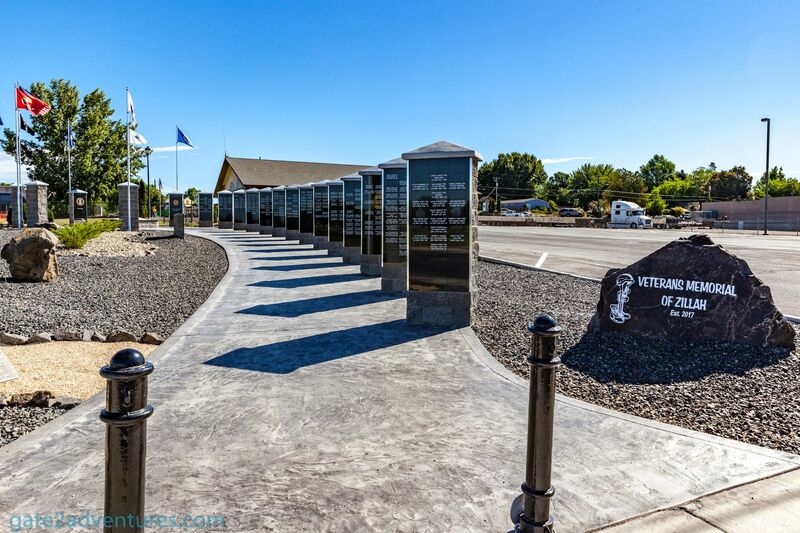 Make sure you set it as a stop on your route through Zillah. It is just a short detour while traveling on I-82. The visitor center is open on Saturdays from 10 a.m. until 4 p.m. 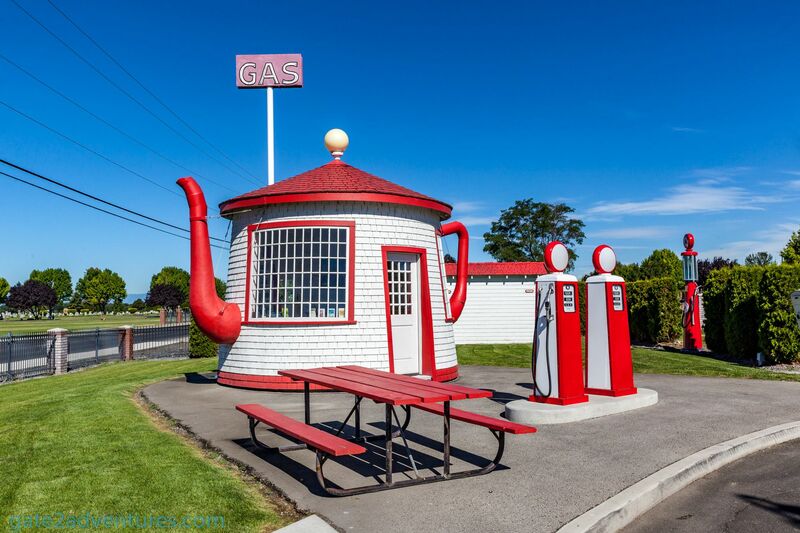 The Teapot Dome Gas Station can be visited year-round all day long.